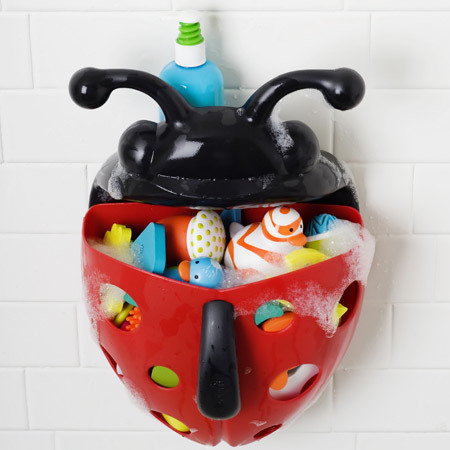 Bug Pod - Bath Toy Storage | Boon Offers Innovative Products to Make Everyday Tasks Easier for Parents! 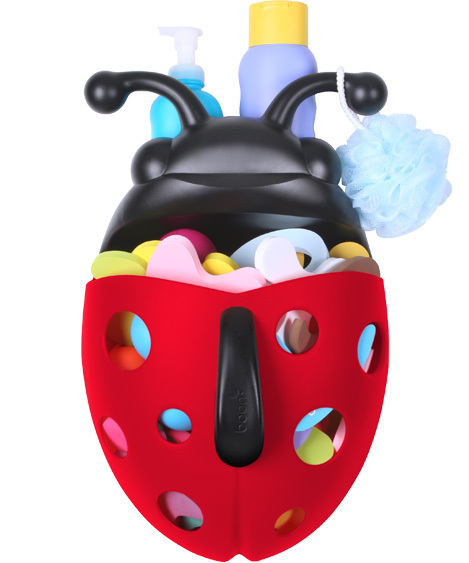 Don't let the fun ladybug appearance fool you. 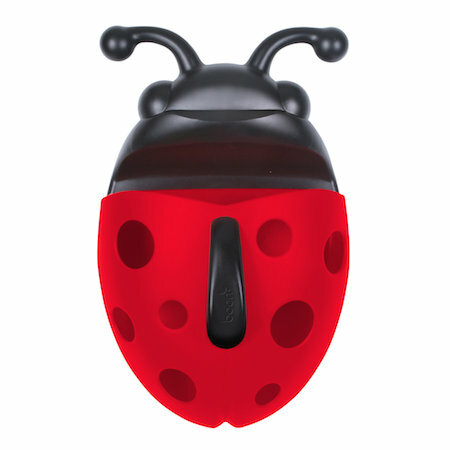 Bug Pod is one bad bug. 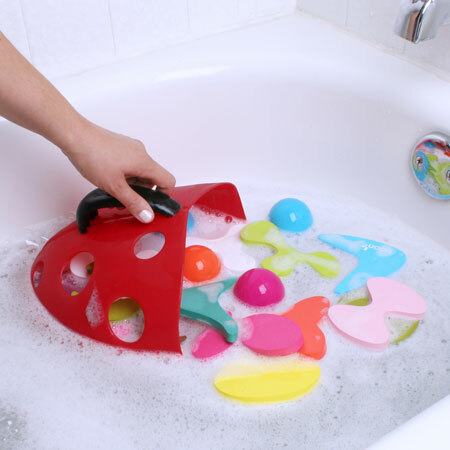 Kids love how it scoops up their bath toys. (That's right, with Bug Pod they don't even know they're cleaning!) 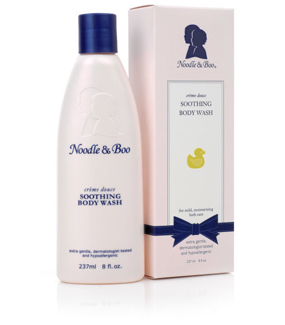 Parents appreciate the drainable, stow-in-one-place convenience. 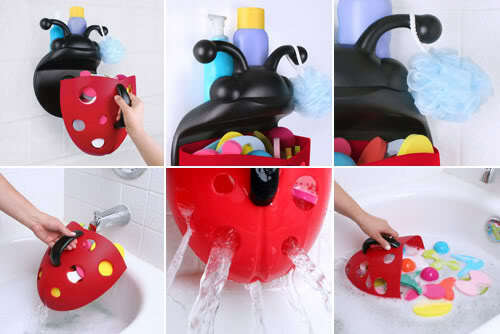 The built-in shelf can even hold shampoo and bubble bath bottles. 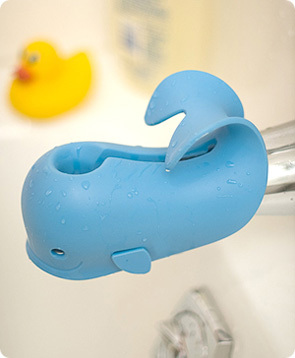 And the whole thing attaches to the tub wall.